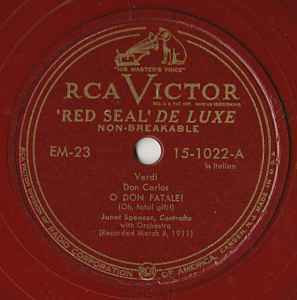 Translucent red vinyl with red labels. Side A recorded 3/8/1911 Camden, New Jersey. Side B recorded 4/26/1911 Camden, New Jersey.